Fundraiser for the Town of Barkhamsted elementary school. Please join us and support our kids. Course: Scenic, fairly level out and back course (two hills) along the Farmington River and People’s State Forest in the Northwest Hills of Litchfield County." Hello - Thank you for wanting to be a part of our 10th Annual Barkhamsted River Run 5K. 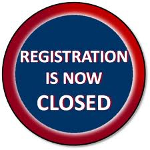 Our online registration is now closed please register in person on Race Day at 8:00am at Barkhamsted Elementry School - 65 Ripley Hill Rd., Barkhamsted, CT 06063. Please see details above. Thank you!